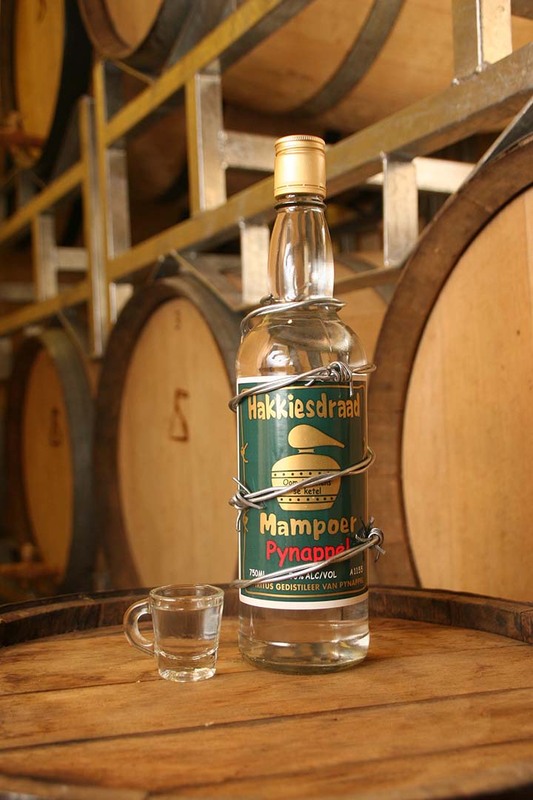 Hakkiesdraad Mampoer is distilled (gestook) in a potstill to the highest purity using the traditional double distillation method. There is no sweetening or fortification with any cane sugar. The exceptional smoothness and unique flavour is derived from a lengthy and gentle copper distillation and separation of a clean middle cut or heart, says distiller Moritz Kallmeyer. The Irish can have their Black Pot, let the Portuguese indulge in their Grappa, the German’s in their Schnapps and the Americans in their Moonshine. In South Africa we have Mampoer! 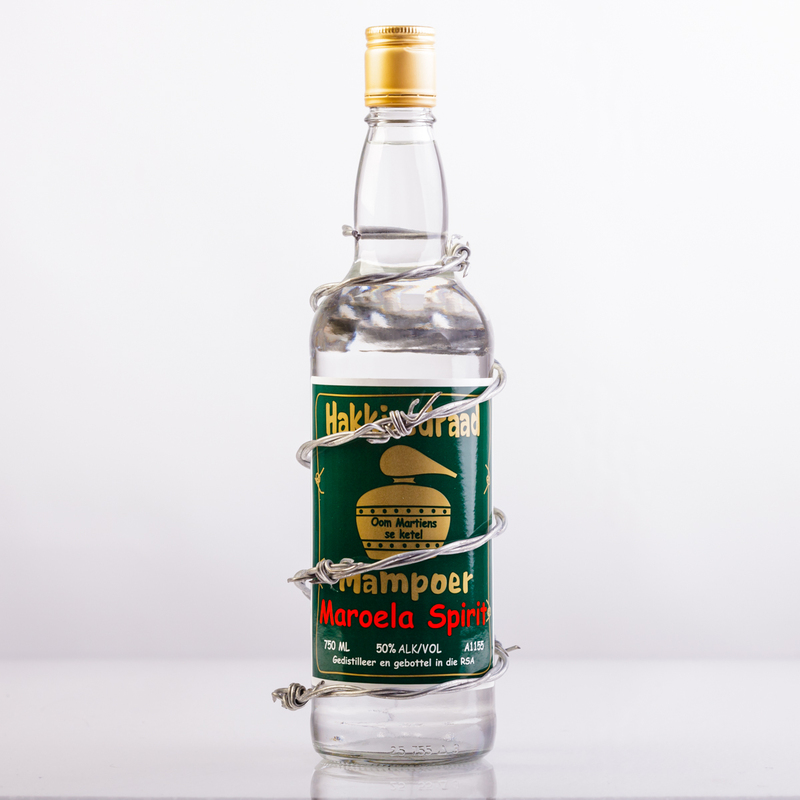 It is a firey spirit, truly indigenous to South Africa- no other spirit elsewhere in the world may be called Mampoer. Available in peach, maroela, litchi and cherry flavours. History is not clear whether Chief Mampuru himself also practised the art of distillation. If that was the case I can now in no uncertain terms state that he was no Mampara! Hierdie tradisionele Bosveld Mampoer word sorgvuldig gestook volgens oorle oom Martiens du Plessis se geheime familieresep. En dan word jy gebliksem!